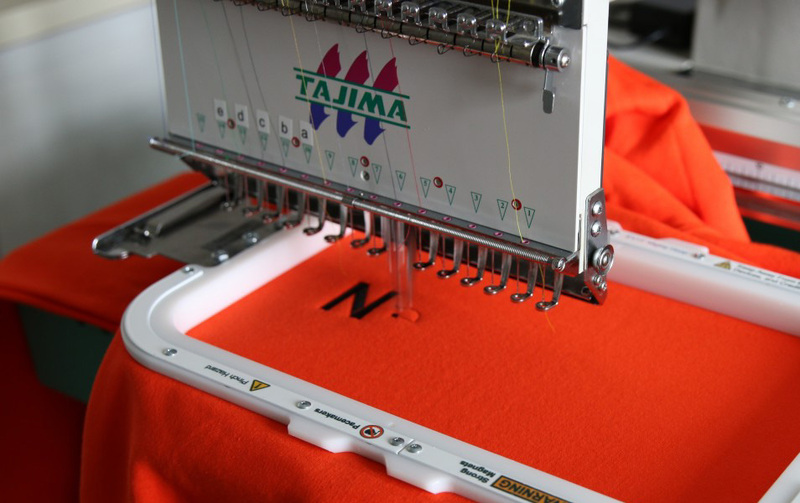 Embroidery is the method of decorating products such as apparel, blankets, bags and a variety of other items in order to carry a prestigious look. These designs range from company or brand favorites, team affiliation, event support, or simply to make a statement. The most popular methods of garment decorating are Embroidery and Screen-Printing. Modern Embroidery requires a method of conversion of the art work called Digitization. Digitizing is a combination of artistic arrangement and computer process that imports a design, photo, drawing, etc. and converts it to an embroidery design. The design is then programmed into our computerized machines in order to produce the desired result, duplicating the age-old process of working needle and thread by hand. It was an art form back then and remains an art form today.